The home should be the treasure chest of living. Your home in most cases is really a kind of a treasure for you and your biggest asset, so it should be properly protected along with those who live there. Personal Money Service offers the homeowners a wide choice of insurance policies to match everyone’s needs as well as budget. Our cooperating partners are ready to provide you support in various difficult situations: natural disasters, home and personal property loss, thefts or even somebody being hurt. Home insurance allows the clients spend minimum for the repairs, replacement and other expenses if the damage happens to the property due to the fire, wind, hail, hurricane, theft. You may decide for yourself what to cover out of pocket and what to depend in policy for. What Can Be Covered With an Insurance? Broad Coverage – the coverage to your house and permanent structures. Personal property damage, which is caused by the reasons specified in your policy. Limited coverage for the cases of theft. Additional coverage for valuable items. Don't waste your time. Get insurance online. No matter whether you are a home owner or just rent a house, live in a condo or a big house of your own, you need to insure your possessions. Property and liability type of insurance, for instance, protects houses and personal property from loss. Medical payments coverage is also included in case someone is hurt. In case you home may be badly damaged, choose the policy, which covers hotel stays and meals. A “dwelling fire” policy is for those who rent their homes to somebody and renters’ insurance policy is for tenants in rented houses.However, not only you want your house to be insured. In case you buy a house, your lender will insist on covering risks with property and liability coverage. The costs of such insurance, can, as a rule, be incorporated in the monthly mortgage payments, but the home buyer can also choose to pay separately. Make sure your property is properly covered and you are protected as well. 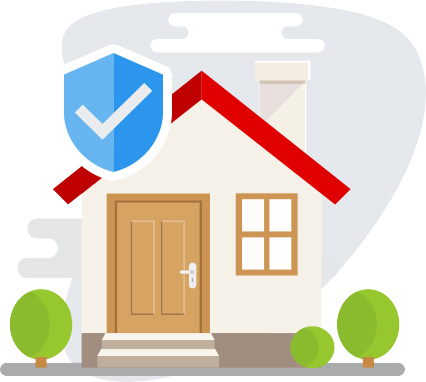 If something happens to your house or belongings our partners providing insurance to you will make their best to help you in getting your home back to normal as soon as possible. You can get the policy you need at the price you can afford, due to the advantageous discounts our associates offer to our clients. Do not forget to check from time to time that your coverage is up to date and keeps up with your life. Personal Money Service helps to make the process as easy as possible for her clients looking for the right insurance policy. Personal Money Service is not an Insuring company, but a connecting service. Our Company and its partners follow the regulations of the applicable law. We provide no guarantees of any kind expressed or implied, including, but not limited to, implied warranties of merchantability and fitness for a particular purpose. Our company does not warrant that the functions contained in the materials will be uninterrupted or error-free. The information and descriptions contained on the site are not intended to be complete descriptions of all terms, exclusions and conditions applicable to the products and services, but are provided for general informational purposes. The information submitted by the customers in the online application form is shared with the cooperating insurance companies, which provide insurance quotes to the customers, based on data received. Personal Money Service does not guarantee the quote will be provided to every customer. Personalmoneyservice.com may be linked to other websites not maintained by our Company and we take no responsibility for the content of those sites and the links to them do not imply approval of the information provided on those third party sites.